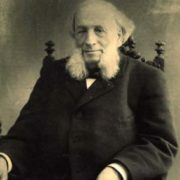 In the XIX century, a man at the age of 65 was considered an old man. And such an old man, with money and recognition of the public, fell in love. Hovhannes Ayvazyan really fell in love. However, to the whole world this brilliant artist is known under the name Ivan Aivazovsky. So, the great master met his future wife Anna Sarkisova-Burnazyan in the summer of 1882 in Feodosia at… a funeral. 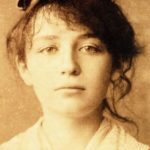 A beautiful young widow walked behind the coffin of her husband, a famous merchant. The beauty of a young woman astonished Ivan Konstantinovich. A year later they got married. 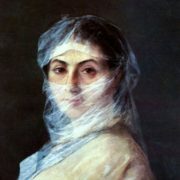 Today you can see a portrait of Anna in the Feodosia Art Gallery. 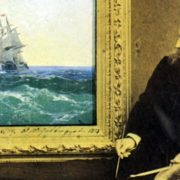 Who was the artist Aivazovsky? 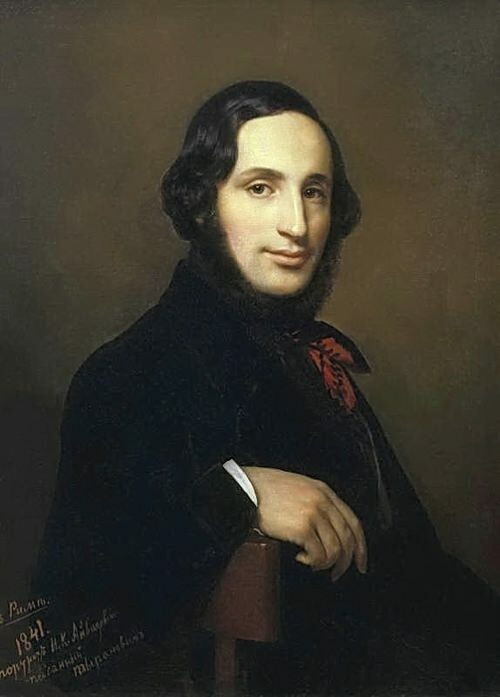 The whole life of Ivan Aivazovsky, apart from staying abroad and studying at the Petersburg Academy of Arts, was connected with the south of Russia and Ukraine. His parents moved to Galicia from Armenia in the 18th century. After wandering around Moldova and Wallachia, the Ayvazians settled in Crimea. 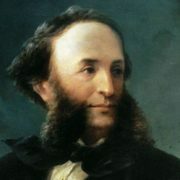 Hovhannes was born on July 17 (29), 1817 in Feodosia. He had a brother and three sisters. 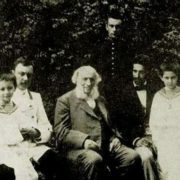 His brother Gabriel Aivazovsky was an Armenian historian and archbishop of the Armenian Apostolic Church. At the age of 31, Ivan Aivazovsky married for the first time. His wife was Julia Yakovlevna Grevs, an Englishwoman, the daughter of a doctor. 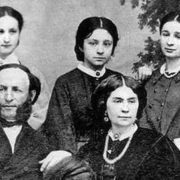 They had four daughters: Elena, Maria, Alexandra and Zhanna. 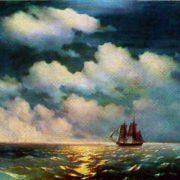 But, according to some reports, Aivazovsky also had an illegitimate daughter. Ivan and Julia lived together for 12 years. 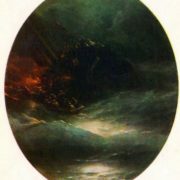 Ivan Aivazovsky was an outstanding marine painter. 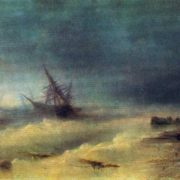 When the famous English artist William Turner saw paintings by Aivazovsky in Rome in 1842, he was so much impressed and even dedicated a poem to his colleague. 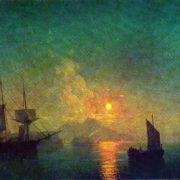 Aivazovsky is one of those rare artists who received recognition during his life. 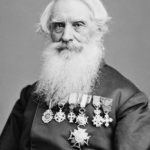 In 1856 he was awarded the Order of the Legion of Honor in France and the Ottoman Empire also awarded him the Order. 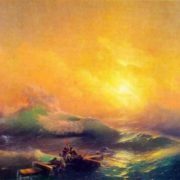 Turkish authorities loved Aivazovsky. The Sultans bought his paintings. In 1874 he was awarded the Order of Osmanieh, in 1880 – the Diamond Medal, and in 1890 the sultan Abdul-Hamid II granted him the Order of the Medjidie. Ivan was a very gifted child, he learned to play the violin and draw. 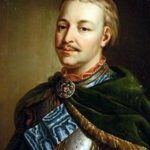 Theodosius architect Yakov Khristianovich Koch was the first to draw attention to the talent of the boy and gave him drawing lessons. Aivazovsky studied at the Simferopol gymnasium, and was later admitted to the Academy of Arts in St. Petersburg. In September 1837 Aivazovsky received a Great Gold Medal for the painting Calm. 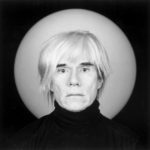 This was a tremendous success, which gave the artist the right to a two-year paid trip to Crimea and Europe. In Venice, Aivazovsky met Nikolai Gogol, and also visited the island of Saint Lazarus, where he met his brother Gabriel. Aivazovsky then often came to Gabriel and stayed in the room of George Byron, who also visited these places to study the Armenian language. 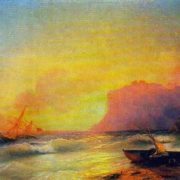 Aivazovsky worked for a long time in southern Italy, in Sorrento. The painting Chaos was bought by Pope Gregory XVI, who also awarded Aivazovsky with a gold medal. The Paris Academy of Arts awarded him with a gold medal for his work. 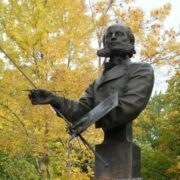 In 1844, Aivazovsky returned to his homeland and became a painter of the Main Naval Staff, and in 1847 he became a professor at the Petersburg Academy of Arts. 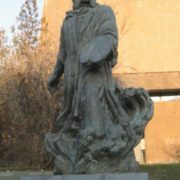 He was a full member of European academies in Rome, Paris, Florence, Amsterdam and Stuttgart. 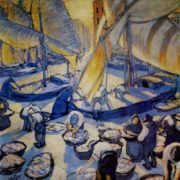 He had painted more than six thousand pictures. 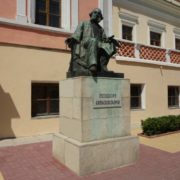 Since 1845, Aivazovsky lived in Feodosia, where he opened a school of arts and a gallery. 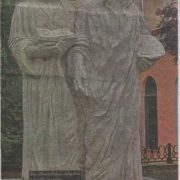 He was the initiator of the construction of the railway Feodosia – Dzhankoy, built in 1892. The artist was also engaged in the improvement of the city, the protection of monuments of the Crimea, took part in the study of 90 local burial mounds. For the archaeological merits he was even elected a full member of the Odessa Society of History and Antiquities. 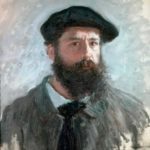 In 1880, the painter opened his own exhibition hall. 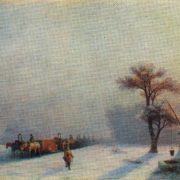 Aivazovsky worked until the last day of his life. 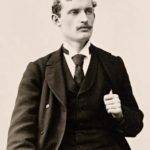 On May 3, 1900, he died in a dream. He was buried in Feodosia, in the medieval Armenian church.